Financial advisers may sound like broken records when they repeatedly say “don’t put your eggs in one basket”—but they are also right to stress the importance of diversifying investments. Australians usually turn to professionally managed superannuation funds as one of their primary retirement savings vehicle, but they may consider other investment options for a more diversified portfolio. However, a person must first determine their risk tolerance, how long they expect to invest and how likely they are to withdraw capital during the term of the investment. Since some medium and long-term investments charge penalties for early withdrawal, it’s important to take the need for liquidity into account when narrowing down options. Here are some legitimate investment options to consider to supplement one’s retirement fund. An asterisk beside the investment option means it has better liquidity—or a higher probability of early withdrawal with little to no penalty. Financial experts don’t advise keeping investments in cash form since inflation affects the value of cash the most. However, there are investors who require or prefer to keep their capital liquid. If liquidity is really important, it is advisable to open a high-interest savings account in a reliable bank instead of keeping cash at home. At least cash still earns interest in the bank—even if the returns are smaller than other investments. The depositor also has full control over their money and can make withdrawals anytime without having to worry about additional management fees of penalties. Another advantage is that money deposited in authorised deposit-taking institutions (ADIs) are usually insured by the government for up to $250,000. This means depositors can get their deposit of up to $250,000 back if the bank suddenly closes down or its vaults are engulfed by flames. 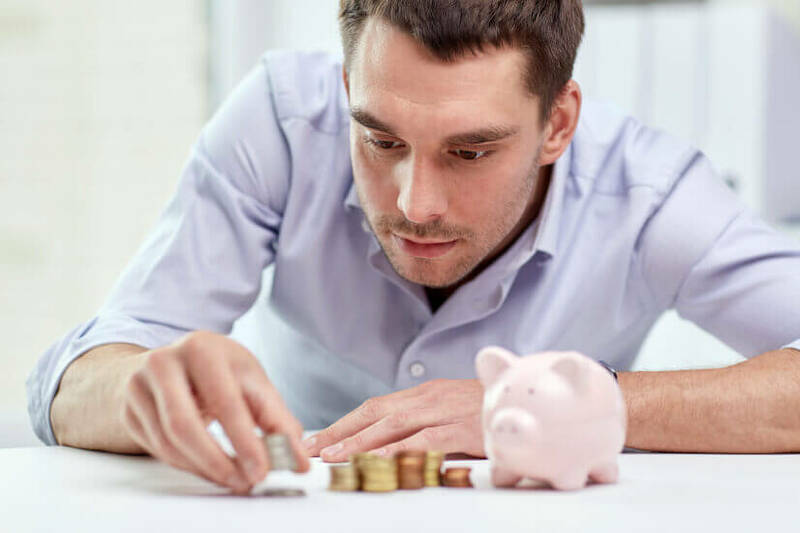 Certificates of Deposit or TDs have been discussed in-depth in another article but, for those who are unfamiliar with it, these are deposit accounts that offer higher interest rates in exchange for a lock-in period. Typical lock-in periods range from terms as short as 8 days to as long as 5 years, but different banks offer different terms. Some can be even longer than the typical lock-in periods stated. TDs hold the depositor’s money until maturity and investors may choose to reinvest or take out their money, thus retaining its liquidity. However, withdrawals in the middle of the term are not allowed. Some ADIs still permit early withdrawals if the depositor agrees to pay an early withdrawal fee, but these fees usually eat into the interest earned. If early withdrawal is a possibility, perhaps consider shorter term TDs or a mix of short, medium and long-term TDs to benefit from both high-interest earnings and liquidity. The share market offers some of the best investments with higher returns but exposes the investor’s capital to greater risks due to the market’s volatility. Share market investments may be found in exchanges like the Australian Securities Exchange (ASX), and require an authorised market participant, such as a full-service broker or a legitimate online trading account, to facilitate trades. For those who have money to spare, they may want to lend it to institutions for a fixed period in exchange for regular interest payments. Bonds are low-risk investments that give bondholders guaranteed income in the form of interest payments for a fixed term. Bond issuers pay bondholders the full amount of the face value upon maturity, along with the last coupon payment. This set-up makes bonds low-risk investments. However, the risk increases for bondholders who lend to issuers with lower credit ratings for higher interest rates. In some cases, bondholders can sell their bonds in the middle of the term or the bond issuer can buy back the purchased bond. It is best to read the prospectus and understand the terms and conditions of specific bond issuances. Bonds may be purchased and traded in the ASX like shares. Purchasing company shares in the secondary market is a popular investment option for investors focused on capital growth. However, stocks pose a higher risk compared to bonds. Stocks or shares are part-ownership of a business. They give the shareholder voting rights in important company matters and rights to profits given through dividend payments. Dividend payments can be a regular source of income if the company remains stable and does not miss dividend payout schedules. However, not all issued shares pay dividends and dividend-paying companies are not required to make regular payments. Another way shareholders profit from shares is if they buy low and sell high, but the ability to do so depends on the market conditions. Since the sharemarket can be volatile, shares are better suited to those who can tolerate more risks. Financial advisers recommend having a portion of the investment in shares to have a better defence against inflation. Shares are liquid investments because shareholders can sell them as long as the market is open and there is someone willing to bid or buy the offered shares. Since the share market is volatile, some investors prefer purchasing index funds or ETFs over individual company shares. Both types of funds are composed of different companies packaged as one fund which tracks the performance of market indexes. What this means for investors is instant diversification of investments in one package, because they will essentially be buying a diversified portfolio. Both index funds and ETFs are low-cost, long-term investment options with a wide spread. But it is still important for the investor to read the product disclosure and find out which individual investments are included in the package. The main difference between funds and actual shares is that, with the former, investors only own the wrapper even if they benefit from the growth of the underlying investments (companies). Shareholders, on the other hand, receive full benefits and are exposed to the risks. Index funds and ETFs don’t give its investors part-ownership of the underlying investments. It only gives the benefit of seeing their capital growing because the fund managers did a good job of tracking the market. ETFs can be traded in the share market like stocks and are generally cheaper than index funds because of its lower management fees. However, if the investor decides to keep on trading (buying or selling) their ETFs, they will trigger fees with every trade. Both funds don’t exhibit the same liquidity as shares because the likelihood that funds will sell quickly depends on its underlying investments. That is, while ETFs can be traded like shares, it will not always have a high demand because it is composed of many shares. Likewise, the liquidity of index funds also depends on the liquidity of its underlying assets. Selling them requires a waiting period. The value of the index fund will depend on the price of its underlying investments at market closing on the day the “sell” order was placed. This means even if the price of the packaged shares were soaring early in the day, the investor will still suffer losses if the prices dropped dramatically one minute before the market closed. Properties can be residential or commercial real estate, which means one’s own house can be considered as an investment. Investors can also purchase properties for business purposes, whether it is to open up a shop or to rent it out. Doing so assures a steady stream of income, provided the business does well or the tenant makes good on their rent payments. However, investors should be wary when making property investments. The government warns investors about some property investment schemes, such as land banking, that could result in the loss of investment. Properties are probably the least liquid of all investments—at least compared to the other options in this list. This is because properties don’t always have a willing buyer at any given time. Property owners usually have to wait a while before someone who is willing to pay their asking price comes along. In some cases, property owners settle for selling at a loss if they want to unload it from their pool of assets quickly. The list above is only the tip of the iceberg because each type of investment has variations depending on factors such as the investor’s risk tolerance. It is still important to discuss the types of investments best suited for one’s age, financial capacity and risk tolerance before actually risking capital for the sake of diversification. This information has been sourced from ASIC’s Moneysmart, Investopedia and Nest Egg.